The Complete Package: 1st One-Stop-Shop Blockchain Conglomerate! In 2018, there is no other business, which is growing quite as rapidly as the adoption of blockchain technology to virtually every sector of the economy. Blockchain is essential, vital, and necessary for countless use-cases, and companies are scratching their heads and scrambling to make sure they implement it immediately, before their competition gets a handle on it before they do. I've been involved with cryptocurrencies and blockchain since 2013. I knew that Bitcoin would impact how we transfer value online, but what truly sunk in deep is the fact that blockchain technology is revolutionary. It creates trust by programming it into the database. Understanding how blockchain technology is superior to many of our modern-day business systems is the most important step Portfolio Wealth Global has taken to educate subscribers on how to prosper in the coming years. After banking enormous gains with Portfolio Wealth Global's 2017 cryptocurrencies alerts, we're taking this to the next level. This opportunity has the potential to dwarf the returns made by cryptocurrencies, and it's all due to the fact that this company has 6 potential income sources and a top-tier management team. 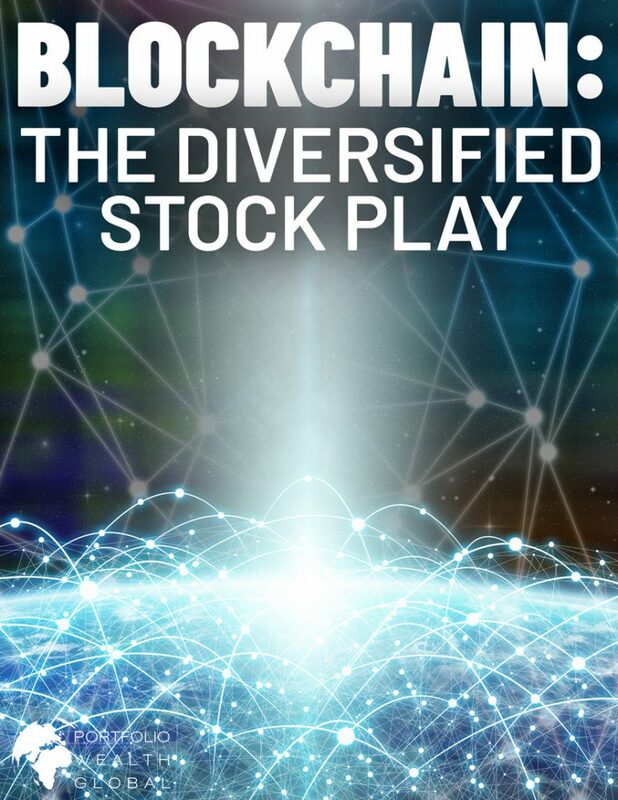 Download Blockchain – The Diversified Stock PlayNOW!